The Community Foundation of Northeast Iowa is a qualified community foundation* that provides access to Endow Iowa Tax Credits. Endow Iowa allows taxpayers to receive a 25% Iowa tax credit, in addition to normal federal charitable income tax deductions, for gifts made to permanent endowment funds that benefit Iowa charitable causes. Due to the generosity of donors across Iowa, 2019 credits available through the Endow Iowa 25% state tax credit program have been expended. Endow Iowa eligible gifts will now be placed on a waiting list to receive a 2020 credit. Tax credits are issued on a first come, first served basis, and we encourage donors to make gifts early to help ensure they receive the 2020 credit. Donors have five years to carry-forward the credit. If you have any questions, please call our office at 319-287-9106. Since the inception of the Endow Iowa Tax Credit Program, Iowa Community Foundations have leveraged over $200 million in permanent endowment fund gifts. Endow Iowa Tax Credits allow donors to have an even greater impact on their philanthropic interests in Iowa now and into the future. When you donate to a permanently endowed fund you’re not only helping your neighbors today, you’re building a stronger community tomorrow. Click here to view a list of our Endow Iowa eligible nonprofit agency funds. Only gifts to qualified permanent endowment funds benefiting Iowa charitable causes are eligible to receive the tax credits. Eligible gifts will qualify for credits on a first-come/first-serve basis until the yearly appropriated limit is reached, currently $6 million. If the current available Endow Iowa Tax Credits have been awarded, qualified donors will be eligible for the next year's Endow Iowa Tax Credits. The Community Foundation encourages donors to act early in the year to ensure they receive Endow Iowa credits. We encourage donors to consult with tax advisors to review their individual circumstances and learn how they can take advantage of this unique opportunity.  *The Community Foundation of Northeast Iowa is confirmed in compliance with National Standards for U.S. Community Foundations. * The above illustration assumes an individual or married couple is in the 37% federal tax bracket, has met the federal standard deduction limit, and itemizes deductions on their federal return.